Do they send out party invitations anymore? Thinking back to when I was a kid, I had a variety of friends and acquaintances spread around the city of Louisville (a few of who I am STILL in touch with, even after all of these years!). School-mates at St. Pauls, band member friends at “Western” not to mention the collection of kids in the neighborhood of Heavenly Heights where I was growing up. I served as an Altar Boy at the Parish for St. Pauls and later, Incarnation. I belonged to the Cub Scouts and eventually the Boy Scouts, which meant another group of pals. Even though we knew well ahead of time, when Joe or Steve, Rhonda or Vicki, or any of the others were having a birthday party, we ALWAYS received some sort of invitation to the event! 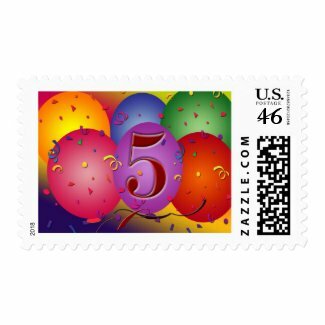 If you search for “Race Car Postage” on the Zazzle site, you’ll be met with 10 pages bearing a variety of designs. (Three of my own are featured there!). 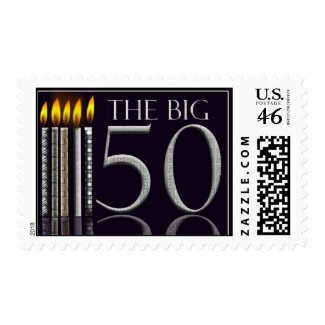 What caught my eye, were the unique ideas for enhancing any sort of invitation that goes out in the mail. With most of the designs, you have the ability to insert your own text, such as your childs name, or date of your party. Not long ago, a customer was holding a surprise birthday party for her “racing fanatic husband”. She opted for a racing design I’d already completed, for the invitations she sent out. The next time you’re planning ANY sort of event, be it a special party for a loved one, or a simple gathering around the pool. Dress up those invitations with customized First Class postage! This entry was posted in Animal Postage, anniversary gifts, award winning art, Baby Postage, Baby Showers, Birth Announcements, Birthday Cards, Blank Greeting Cards, Cat Postage, Childrens Parties, Christmas Postage, Custom Invitations, Disney Products, Disney Stamps, engagement ideas, First Class Postage, Floral Greeting Cards, Fun Gift Ideas, Get Well Cards, graduation cards, graduation postage, Holiday Cards, housewarming gifts, Party Invitations, Posters Cards Gifts, retirement party, save the date cards, Thank You Cards, wedding designs, wedding invitations, wedding postage and tagged balloon decorations, Childrens Partys, Collecting, custom designed postage, dennis buckman, going away party, party balloon, Party Invitations, Party Planning, party rsvp, pool party, Postage stamp, Recreation, retirement party, Stamps, surprise birthday party. Bookmark the permalink.